Inspired by fractals in nature and created in a trance-like meditation. 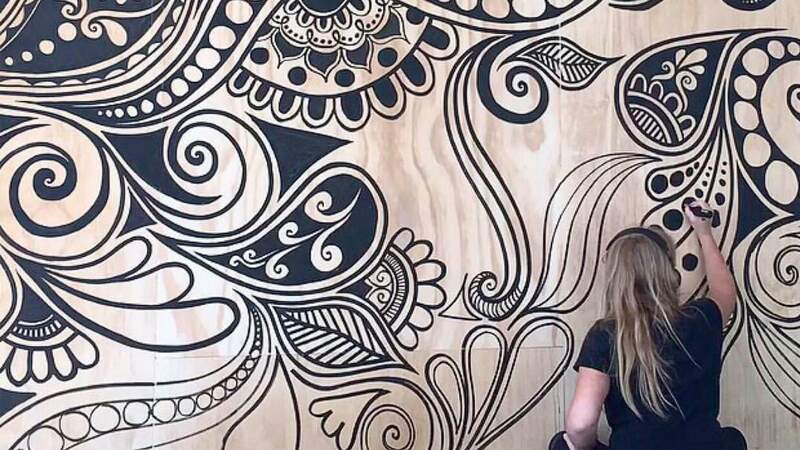 You may have seen Lizzie's mandalas on your Instagram feed, popping up in the lululemon window or driving around the streets of Wellington, but this month is your first chance to see a collection of her works up close and personal. Working under her artist name fortyonehundred, the Master of Fine Arts student has built up a loyal fanbase of 100,000 followers from all corners of the world. Lizzie credits her inspiration to fractals in nature, and has described the process of drawing as a trance-like meditation. She explores mandalas through a contemporary eye and address issues of interconnection and the human experience. This exhibition is her final project at Victoria University. It marks the culmination of her degree, and showcases her most recent and evolved artworks. Lizzie will be accompanied close friends on the opening night; Heavy Chest on soulful tunes and Jasper Rain snapping the festivities.